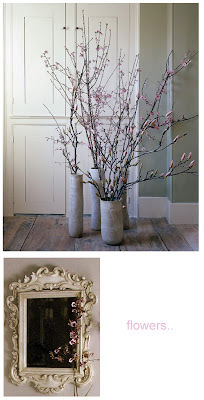 chic at home: ma belle fleure..
What about flowers? If you have an empty corner place a vase with flowers that you love.There is no better feeling than walking up in the morning with something so beautiful.. If you have a spare glass vase ,you can put on the bottom of it small stones (white,grey,pink) believe me it looks great! !